Free £10 Etsy Gift Card! 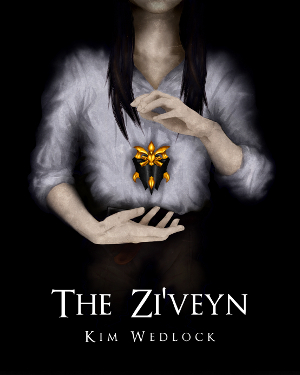 | A Blackbird's Epiphany - UK Women's Fitness and Fantasy Writing Blog: Free £10 Etsy Gift Card! 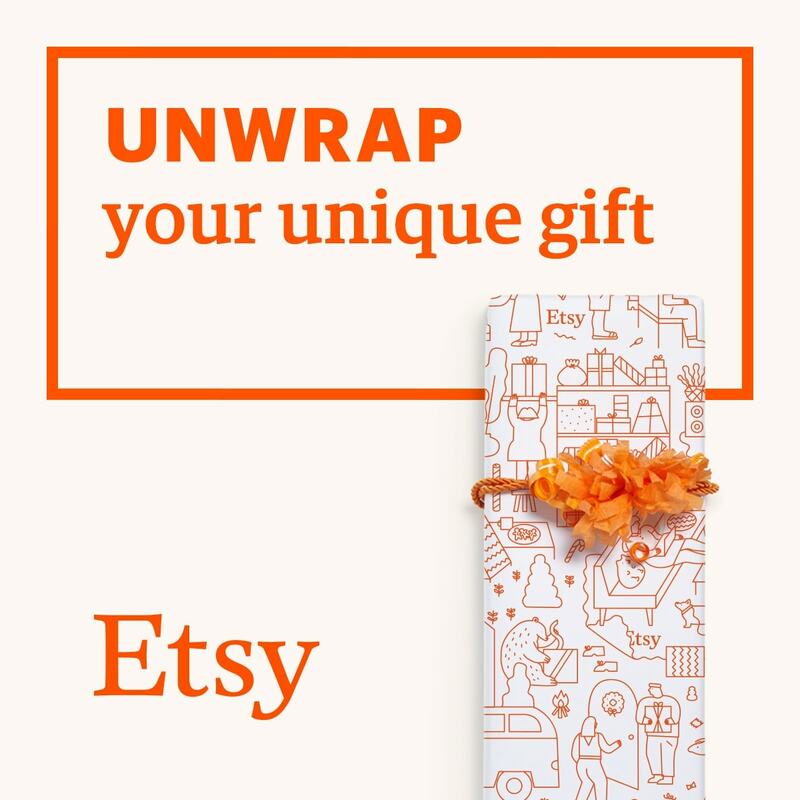 Etsy have just launched an awesome promotion for new Etsy shoppers! 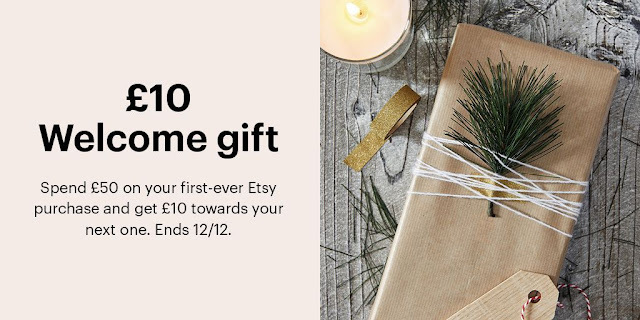 Spend £50 (or $50) in your first transaction on Etsy and you'll get a £10 ($10) gift card back to use in any other Etsy shop! So buying Christmas gifts on Etsy just got even better! Buy a gift, get a gift! My shop is included in the promotion, so if you spend £50/$50 in a single transaction in Peaches and Pebbles, you'll get the £10/$10 voucher back. Alternatively, if you buy from another valid Etsy shop, you can use that gift card in mine! Yay! The offer is valid until December 12th - that's just under a week away, so don't miss out!